When we left the Jubitz Travel Center, we headed southeast across Oregon, toward Nevada. When we exited the interstate onto U.S. 26, we saw this setup of tents right off the main road. On the sidewalk, actually. 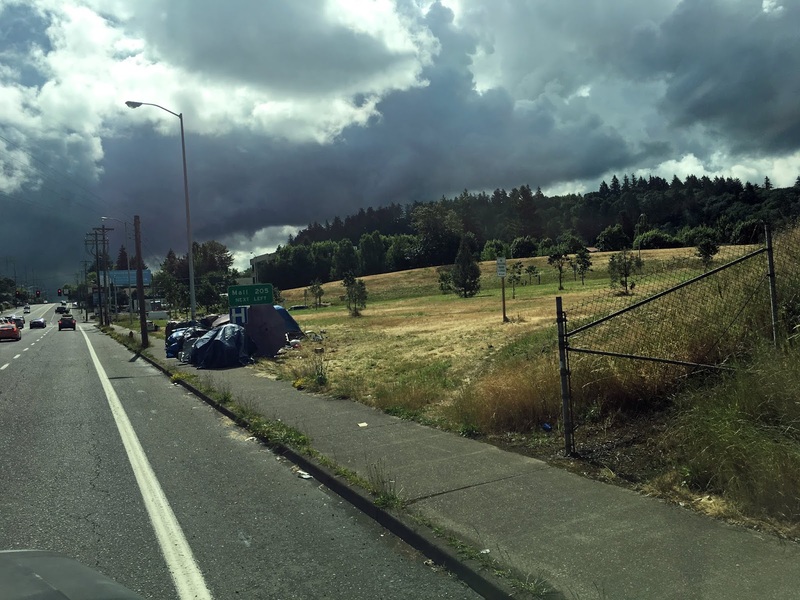 I seemed to notice more homeless in the Portland area than I usually notice while traveling through the country. I noticed a lot of these homeless looking camps in the area. 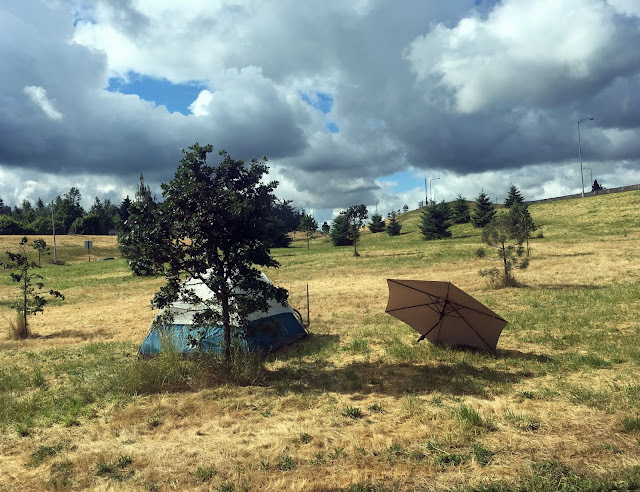 Along the Columbia River, there were a lot of people in tents. Some of those looked intentional, but one or two were all makeshift looking as if it were a homeless person's spot. One even had a wheelchair parked outside of it, next to a bicycle. Which in itself is weird - if you're in a wheelchair, can you ride a bike? I know this is going to sound terrible, but if I lived in this area, I wouldn't be happy to drive by this eyesore every day. 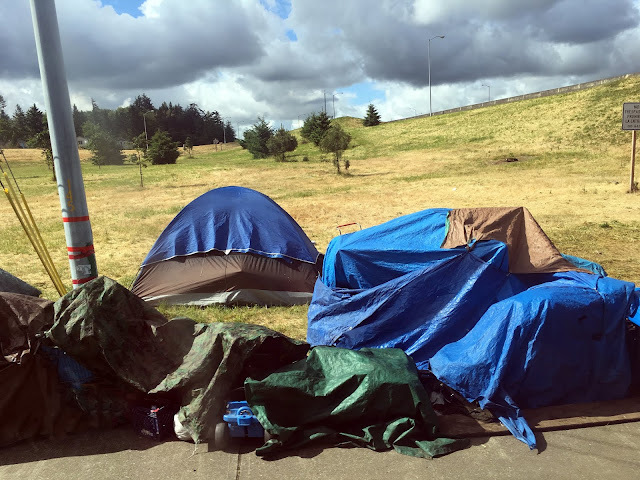 This cluster of tents, on US-26, was in Troutdale, Oregon in Multnomah County. I was reading that the Portland area has made efforts to reduce the homeless population, even at one time having a goal of being a zero-homeless city. 5,986 were sheltered, and 57% or 7,967 were unsheltered."